Julia C. Talarick is a shareholder of the Firm. Julia counsels and represents primary, excess, and surplus lines insurers, self-insureds and third-party administrators in claim handling, insurance coverage litigation, ADR proceedings, arbitrations, and bad faith litigation. She counsels captive insurers on policy terms, claim handling and litigation as well. She counsels a major insurance broker on annual filings, licensing, and issues involving insurance departments throughout the country. 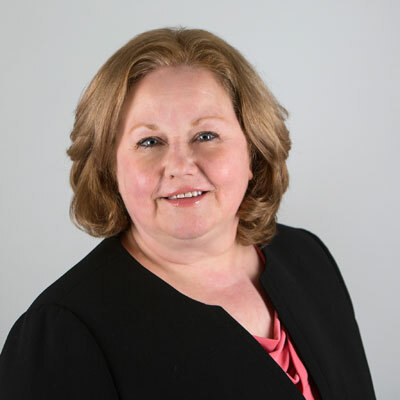 She has defended insureds in a wide variety of cases including general negligence, product liability, construction defect, employment, pharmaceutical malpractice, truck stop liability/cargo loss, mold, underground storage tank and auto claims. Her work includes all phases of trial work including trial and appellate practice. She is the past chair of the New Jersey State Bar Association Insurance Law Section for the 2015-16 term. Julia is presently co-editor of Insurance Law Section newsletter and regularly writes about new significant insurance cases nationwide. In addition, Julia serves as a member of the NJSBA Malpractice Insurance Committee, Insurance Benefits Committee, and Cannabis Committee. She also serves as President of the Northern NJ Chapter of Claims Litigation Management. She served on District XA Ethics Committee from 2009 to 2014. "Is IMO Predictive of New Jersey Law on Below-Limits Settlements?" 2015 New Jersey State Bar Association, Insurance Law Newsletter (reprinted with permission). “Small Business Insurance Needs,” Garden State Women Magazine (2006). Co-Author. Julia Talarick attended the October 2017 Litigation Management Institute (LMI) sponsored by Claims & Litigation Management Alliance (“CLM”) and hosted at Loyola Law School in Chicago. LMI is the first certification program specifically designed to provide a comprehensive understanding of the business of litigation management. The rigorous program is geared toward attorneys and those in the litigation management field with 10 or more years of experience. The program is designed to bridge the gap between legal theory and litigation strategy, and the business aspects of litigation management. Julia now holds the Certified Litigation Management Professional (CLMP) designation, which has been awarded to less than 800 litigation attorneys nationwide.